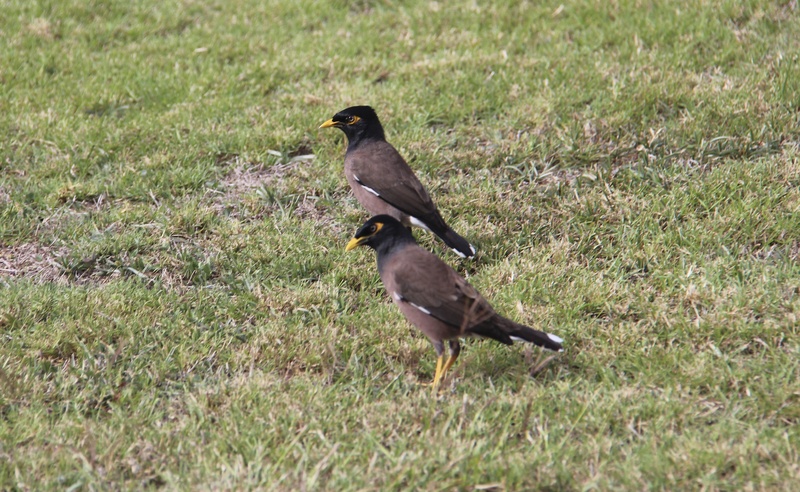 Myna birds squawk and sound like they are trying to cause trouble in many backyards in Hawaii, and they seem to travel in pairs like some bullies, so I am using them as my bully picture of the day. I’m not sure how many of you watched Dateline Sunday night, “My Kids Would Never…Bully” after I tweeted it on Friday, but I watched it and loved it. Two of the bystanders were very brave and spoke up and defended the victim and then continued to defend the victim when the bullying got worse. Yay Lilly and Isaiah!!!!!!! Others joined in once one person spoke up. We really need more of this. Others also made efforts to support the victim, but some were not forceful enough for it to make a difference. Bystanders really can make a difference when they are firm and persistent!!!! I also loved that they emphasized that adults set the tone and actually showed how bad coaching or really any bad authority figure can contribute to escalating bullying and more people joining the bully. Of note, one girl, who admitted liking Gossip Girl style was easily pulled into joining the bullies. This brings home a point I made in a previous posts about watching mean girl shows. You can read it here. One of the boys was also drawn into helping the bullies, but this was after the bad example set by the “coach” of observing the bullying and then not doing anything to help and in fact making it worse. Another nice thing they did that I love is they gave links to sites with more information to take action against the bullying. I also love that Rosalind Wiseman emphasized the importance of the bystander speaking up and being assertive and firm rather than being kind when confronting the bully. The guy from the Hetrick-Martin Institute also pointed out that calling someone “gay” has become the new way to bully even when the victim is not “gay.” This happens on sports teams and at school. Do you have examples of bad teachers, coaches, parents, or other adults contributing to the bullying? Thank you for sharing! You have great points here. That our society have bad authority figures is so sad, because being in authority, they have the official capacity to influence goodness and yet they don’t. And then, there are people, who means well to promote positive influence but don’t have the authority, and are made to feel defeated by the bad ones, when they pull ranks. Sigh! I agree. Your insights are always right on the mark. That makes total sense that exposure to a poor adult model can influence and even inspire bullying behavior. Yeah, think about it – if a coach bullies his team what does that teach the children about how to treat others? Thank you for helping bring another aspect out to light. Thank you. I find it interesting that so many adults are oblivious about the role they play in this, so I am glad they included this in their segment. I hope it helps. I’m really glad the media is coming forward to expose this and teach how to control and eliminate it. It does seem that bullies feel they are safer in numbers in all situations of life. I agree. This was the best program I’ve seen so far on the subject. I hope others watched it. It would be good if parents watched it with their kids!